Pinterest will begin trading on the NYSE today under ticker symbol "PINS" after being priced above range at $19 per share and valuing the online image board at $12.7B. Zoom Video Communications, another multi-billion dollar tech company, is expected to list on the Nasdaq after pricing its shares - which will trade under symbol "ZM" - at $36. It's the next big test for tech IPOs. Ride-hailing company Lyft (NASDAQ:LYFT) was the first big offering to hit the market in March, but the stock has dropped 19% since then. U.S. stock index futures are losing a bit more ground as investors look to the continuing first-quarter earnings season for clues about the strength of businesses and the economy. Political tensions are popping up in the background ahead of the release of the Mueller report and amid news of renewed weapons tests by North Korea that threatened to unravel President Trump's broader Asia strategy on trade and security. Dow futures are down 53 points, while S&P 500 and Nasdaq futures are 0.1% lower ahead of the open. The euro slipped 0.3% to $1.1259 after PMI data showed the German manufacturing sector contracting for the fourth month in a row, pushing investors into the safety of eurozone government bonds. While activity in Germany's services sector rose to a seven-month high in April, the focus surrounded the 44.5 reading for the manufacturing sector, well below the 50.0 mark that separates growth from contraction. The reading comes a day after Germany slashed its 2019 growth forecast to 0.5% - marking the second time the government cut its outlook in just three months. Nestle (OTCPK:NSRGY) shares hit a new all-time high of 96.34 francs as organic sales growth - boosted by baby and pet food - rose 3.4% in the first quarter, well ahead of the 2.8% consensus forecast. The group is also advancing its reviews of its skin-care and processed meat operations, increasing hopes that it will raise more cash for shareholders through disposals. Meanwhile, Anglo-Dutch rival Unilever (NYSE:UL) shares are up 2.8% premarket as organic sales rose 3.1%. The company further upped its dividend by 6%, while CEO Alain Jope said that its acquisitions over the last three years collectively grew by "double-digits." Facebook (NASDAQ:FB) has admitted to yet another potential data breach, saying it "unintentionally" uploaded the email contacts of up to 1.5M new users since May 2016. "Last month we stopped offering email password verification as an option for people verifying their account when signing up for Facebook for the first time. We've fixed the underlying issue and are notifying people whose contacts were imported. People can also review and manage the contacts they share with Facebook in their settings." FB -0.5% premarket. Apple (NASDAQ:AAPL) had "four terrible options" to get the iPhone to 5G, so it went with the least of all evils, writes CNBC's Steve Kovach. 1) Settle with Qualcomm (NASDAQ:QCOM) - the leader in 5G chips, 2) Wait for Intel (NASDAQ:INTC) to catch up in 5G (although the company subsequently abandoned plans to make a 5G modem), 3) Choose Huawei (despite political and security concerns) or, 4) make its own 5G chips (which could take several years). Unfortunately for Apple, it seems like the multibillion-dollar settlement with Qualcomm was the best bet. Gadget reviewers who got the device are seeing flickering or disconnecting screens after just two days of use. Some think because a protective film was removed, but units have also broken on which the film was not peeled off. Samsung (OTC:SSNLF) started taking pre-orders for the $1,980 Galaxy Fold last weekend, but quickly ran out of availability, suggesting supply is constrained at least until its retail launch on April 26. The news sent Samsung shares down 3.1% in South Korea. Wisconsin Governor Tony Evers wants to renegotiate the state's nearly $3B contract with Foxconn (OTC:FXCOF), saying it's "unrealistic" to think the company will employ 13K people as originally promised. Also in question are pledges to build advanced LCD panels and hiring a manufacturing workforce. Under terms of the original deal struck by Evers' predecessor Gov. Scott Walker, Foxconn could get more than $4B in state and local tax credits if it employs 13K people and invests $10B in the state. Boeing (NYSE:BA) is making "steady progress" on the path to certifying a software update to the grounded 737 MAX and has made the final test flight before a certification flight, according to CEO Dennis Muilenburg. The reprogramming of 737 MAX software would prevent erroneous data from triggering an anti-stall system that came under scrutiny following two deadly nose-down crashes. Boeing must deliver the fix to international regulators for their review, which is expected to last about 90 days. Abbott Laboratories (NYSE:ABT) -4.6% despite Q1 beats. Alcoa (NYSE:AA) -2.1% AH trimming its aluminum demand outlook. BNY Mellon (NYSE:BK) -9.5% amid CEO's yield-curve warning. E*TRADE (NASDAQ:ETFC) +2.6% AH posting record revenues. Ericsson (NASDAQ:ERIC) +7.3% beating expectations. Kinder Morgan (NYSE:KMI) -0.2% AH on in-line EPS results. Las Vegas Sands (NYSE:LVS) +2.9% AH with a top and bottom line beat. Morgan Stanley (NYSE:MS) +2.6% on strong wealth management, trading. PepsiCo (NASDAQ:PEP) +3.8% reaffirming its 2019 outlook. U.S. Bancorp (NYSE:USB) +0.8% as NIM improved, loans rose. In Asia, Japan -0.8%. Hong Kong -0.5%. China -0.4%. India -0.3%. In Europe, at midday, London -0.2%. Paris +0.2%. Frankfurt +0.4%. Futures at 6:20, Dow -0.2%. S&P -0.1%. Nasdaq -0.1%. Crude -0.1% to $63.81. Gold flat at $1277. Bitcoin +0.5% to $5241. The U.S. and Turkey have failed to break their impasse over Turkey's plan to deploy a Russian air defense system the Pentagon says could jeopardize U.S. fighter aircraft including Lockheed Martin's (NYSE:LMT) F-35, which Turkish manufacturers helped build. Turkish officials repeated that the deal with Russia has been signed and is final, while the U.S. has threatened to impose sanctions under legislation that allows the punishment of entities doing business with Russia, and to expel Turkey from the F-35 program. The first batch of Russian S-400 missiles may be delivered as early as June, leaving little time for the dispute to be resolved. T-Mobile US (NASDAQ:TMUS) CEO John Legere says the Wall Street Journal report that its merger deal with Sprint (NYSE:S) likely won’t be approved by the U.S. Department of Justice is "simply untrue." In a meeting earlier this month, Justice Department staff members laid out their concerns with the deal and questioned the companies' arguments that the merger would produce important efficiencies, according to the WSJ report. T-Mobile US fell 4.2% in after-hours trading, while Sprint sank 8%. In Asia, Japan +0.25%. Hong Kong -0.02%. China +0.29%. India closed. In Europe, at midday, London +0.01%. Paris +0.20%. Frankfurt +0.21%. Futures at 6:20, Dow +0.1%. S&P +0.20%. Nasdaq +0.27%. Crude +0.83% to $64.58. Gold +0.03% to $1,277.60. Bitcoin +2.52% to $5,235.30. Ten-year Treasury Yield +1.3bps to 2.607%. Dow futures are up 100 points, with the S&P 500 and Nasdaq pointing to gains of 0.4% as investors await the latest batch of earnings, including reports from UnitedHealth (NYSE:UNH), Johnson and Johnson (NYSE:JNJ), IBM (NYSE:IBM) and Netflix (NASDAQ:NFLX). A notable standout from the overnight session was the Shanghai Composite, which jumped 2.4% on the latest trade optimism. Larry Kudlow, director of the National Economic Council, said negotiations over complaints that China has predatory technology policies were going "very well" and making good progress. As the U.S. and China look to wrap up trade talks, European negotiators have received the green light to start trade negotiations with the U.S. after threatening each other with billions of dollars in new tariffs over an aviation dispute. The EU is trying to do its own limited deal with President Trump to address tariffs on industrial goods, in part to avoid levies he has threatened on foreign automobiles and car parts. Japan this week also steps into bilateral U.S. trade talks as Shinzo Abe aims to avoid tariffs or quotas on auto exports and Trump attempts to crack open Japan's agricultural market and reduce a $60B trade deficit. Four of the six largest American banks delivered a mixed bag of first-quarter financial results this past week - but that's probably the sector's best this year, especially if the Fed does not increase interest rates, according to Citigroup. "When we look at profitability, particularly net interest margins... we think we're at peak margins right now, we think this is as good as it gets both in terms of net interest margins and profitability." Among them, JPMorgan (NYSE:JPM) and Wells Fargo (NYSE:WFC) reported quarterly profit and revenue that exceeded analysts' expectations, while Goldman Sachs (NYSE:GS) and Citigroup (NYSE:C) both missed estimates on their revenue. The bank earnings merry-go-round continues later today with results from Bank of America (NYSE:BAC). Will the FAANG rally continue? While the FAANGs have already seen double-digit gains so far this year, Barclays expects the rally to continue for at least three of the five companies, with their upcoming quarterly results seen as the primary positive catalyst. The firm "would add to positions" in both Facebook (NASDAQ:FB) - following its 2018 controversies - and Alphabet (GOOG, GOOGL), which could benefit from improving margins. Barclays also recommended "taking advantage and adding selectively" to Amazon (NASDAQ:AMZN) before the e-commerce company's print. The Fed should shore up its ability to fight economic downturns by committing to let inflation run above 2% "in good times," according to Boston Fed President Eric Rosengren. "My own preference would be an inflation range of 1.5%-2.5%" because hitting the current target will only get harder with rates as low as they are, he said at Davidson College in North Carolina. "Even though we're only missing by a little bit it actually does matter if you miss by a little bit on a regular basis." Congressional investigators have subpoenaed Deutsche Bank (NYSE:DB) as Democrats step up their probes into President Trump and his longtime lender. The subpoenas from the U.S. House of Representatives Intelligence and Financial Services committees mark an escalation of Democratic-led probes into Trump's business dealings. The committees also subpoenaed multiple other financial institutions, including JPMorgan (JPM), Bank of America (BAC) and Citigroup (C) as part of their investigations. Hulu has repurchased AT&T's (NYSE:T) 9.5% stake in the business for $1.43B, giving the streaming company a valuation of $15B (up from $9.26B in November). The transaction indicates that Hulu - which is now owned at two-thirds by Disney (NYSE:DIS) and one-third Comcast (NASDAQ:CMCSA) - continues to gain popularity, even as the market for over-the-top content becomes increasingly crowded. AT&T said it will use proceeds of the transaction to reduce its massive debt pile. President Trump urged Boeing (NYSE:BA) on Monday to "rebrand" its 737 MAX jetliner following two fatal crashes, but the planemaker said it was focused on fixing the problem and brainstorming over next steps to win back public trust. Asked about Trump's advice, a Boeing spokesman said rebuilding public trust was their focus, with pilots playing a pivotal role. Meanwhile, United Airlines (NASDAQ:UAL) has canceled all 737 Max flights through early July, while American Airlines (NASDAQ:AAL) is reportedly adding more simulator training for 737 MAX pilots. Citigroup (C) -0.1% with revenue hurt by equity markets. Charles Schwab (NYSE:SCHW) -0.7% despite net interest gains. Goldman Sachs (GS) -3.8% on a "muted" start to the year. M&T Bank (NYSE:MTB) -2.4% as bank stocks slumped. In Asia, Japan +0.2%. Hong Kong +1.1%. China +2.4%. India +1%. In Europe, at midday, London +0.4%. Paris flat. Frankfurt +0.6%. Futures at 6:20, Dow +0.4%. S&P +0.3%. Nasdaq +0.4%. Crude +0.1% to $63.45. Gold -0.4% to $1286.60. Bitcoin -1.4% to $5072. Though it will be a shorter trading week (due to Good Friday), traders will have plenty of things to monitor. Bank and financial earnings continue to pour in today, with Citigroup (NYSE:C), Goldman Sachs (NYSE:GS), Charles Schwab (NYSE:SCHW) and M&T Bank (NYSE:MTB) updating investors before the bell. U.S. stock index futures are holding steady ahead of the Q1 reports, pointing to a muted open on Wall Street. Other events throughout the week include Pinterest's (PINS) highly-anticipated IPO, retail sales data and the Fed's beige book release. U.S. Treasury Secretary Steven Mnuchin said on Saturday a U.S.-China trade agreement would go "way beyond" previous efforts to open China’s markets to American companies and the two sides were "getting close to the final round of concluding issues." "This is way beyond anything that looked like a bilateral investment treaty," he added. U.S. negotiators have also reportedly tempered demands that China curb industrial subsidies as a condition for a trade deal after strong resistance from Beijing. "If the Fed had done its job properly, which it has not, the Stock Market would have been up 5000 to 10,000 additional points, and GDP would have been well over 4% instead of 3%...with almost no inflation," President Trump tweeted on Sunday. "Quantitative tightening was a killer, should have done the exact opposite!" ECB President Mario Draghi took the rare step of sounding concern over the independence of the Fed in the face of the constant criticism and cautiously stuck to the message that an upturn in the European economy is still possible in the second half of 2019. A communique from the IMF's steering committee, released Saturday in Washington, said that "growth is projected to firm up in 2020, but risks remain tilted to the downside." "These include trade tensions, policy uncertainty, geopolitical risks, and a sudden sharp tightening of financial conditions. To protect the expansion, we will continue to mitigate risks, enhance resilience, and, if necessary, act promptly to shore up growth for the benefit of all." The idea of a second Brexit referendum is "very likely" to be put before Britain’s parliament again although the government remains opposed to any new plebiscite, according to Chancellor of the Exchequer Phillip Hammond. While the government was opposed to a new public vote, many Labour lawmakers are pressing their leader Jeremy Corbyn to demand a new referendum in talks with the government. Theresa May has so far failed to get her own Conservative Party behind her Brexit divorce deal and has reached out to the opposition. French President Emmanuel Macron will address his nation this evening to announce a set of measures designed to quell the anger that has fueled the Yellow Vest protests. It follows a 10-week national debate devised to assuage grassroots discontent and relaunch his presidency, a month ahead of EU elections seen as a referendum on his policies. Some 31,000 Yellow Vests turned out across the country on Saturday for a 22nd consecutive weekend. Facebook (NASDAQ:FB), Instagram and WhatsApp were down in much of the world for several hours on Sunday, in the latest failure to hit the three social media platforms. The company told the BBC: "We're sorry for any inconvenience," but gave few other details. Facebook experienced one of its longest outages in March, when some users around the globe could not access Facebook, Instagram and WhatsApp for more than 24 hours. The grounding of Boeing's (NYSE:BA) 737 MAX jetliners continues to ripple through the airline industry, with American Airlines (NASDAQ:AAL) now joining Southwest (NYSE:LUV) in extending flight cancellations into August. Together, the two airlines will be cutting an average of 275 flights a day and many of them will be during the key summer travel period. It's still unclear when the Max, which has been grounded since mid-March, will return as Boeing works on a highly-awaited software fix. Expanding its digital business and North American footprint, French advertising giant Publicis (OTCQX:PUBGY) will pay $4.4B to acquire Alliance Data's (NYSE:ADS) Epsilon marketing unit. Catalent (NYSE:CTLT) is set to announce this morning it will acquire privately-held Paragon Bioservices for $1.2B, in a bid to expand its gene therapy manufacturing capabilities. Meanwhile, in one of the biggest solid-waste company acquisitions in more than a decade, Waste Management (NYSE:WM) is reportedly near a deal to acquire rival Advanced Disposal Services (NYSE:ADSW) for nearly $2.9B. In Asia, Japan +1.4%. Hong Kong -0.3%. China -0.3%. India +0.4%. In Europe, at midday, London flat. Paris flat. Frankfurt -0.1%. Futures at 6:20, Dow flat. S&P flat. Nasdaq -0.1%. Crude -0.3% to $63.70. Gold -0.4% to $1289.60. Bitcoin +1.8% to $5149. Earnings season kicks off in earnest today, with major U.S. banks - JPMorgan (NYSE:JPM), Wells Fargo (NYSE:WFC) and PNC Financial (NYSE:PNC) - set to get the ball rolling before the opening bell. 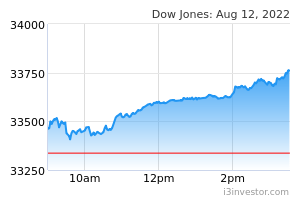 Dow futures are up 175 points ahead of the Q1 reports, with the S&P 500 and Nasdaq 0.5% higher. While some analysts see an earnings recession ahead, that may not affect equity prices as much as one would think. "The business cycle, or the profit cycle, works at a different speed than an economic cycle," said Joseph Zidle, chief investment strategist at Blackstone. Tesla (NASDAQ:TSLA) has begun leasing its Model 3 sedan in the U.S., in a financing option that would increase the EV maker's base. However, customers will not have the option to buy their cars at the end of the lease, as the company intends to use the vehicles for its long-planned Tesla Network ride sharing program. Tesla has also halted online sales of its $35,000 Model 3, meaning the lowest-priced version available on the net for order is now the $39,500 Standard Plus (which includes Autopilot). TSLA +1% premarket. The most powerful operational rocket in the world, SpaceX's (SPACE) Falcon Heavy, launched its first commercial mission yesterday evening, with all three boosters returning to Earth. At a price of $90M per launch, it's also about a third of the cost of its closest competitor, United Launch Alliance's (BA, LMT) Delta IV Heavy. In other space news, Israeli spacecraft Beresheet failed to make a soft landing on the Moon (a first for a private entity). The lunar lander was launched on a SpaceX Falcon 9 rocket on Feb. 21 and has orbited Earth and the Moon for six weeks. The retail industry has issued a forceful response to yesterday's challenge from Jeff Bezos, which dared Amazon's (NASDAQ:AMZN) top competitors to "match our employee benefits and our $15 minimum wage." "How about paying your taxes?" declared Walmart's (NYSE:WMT) Dan Bartlett, stating Amazon paid $0 in federal taxes on more than $11B in profits last year. "We decided to put [tax savings] back into the community of our colleagues," Macy's (NYSE:M) CEO Jeffrey Gennette added, while eBay (NASDAQ:EBAY) CEO Devin Wenig fired back, saying, "we don't compete with our sellers. We don't bundle endless services to create barriers to competition." Disney+ will be available starting Nov. 12 for $6.99 a month, or $69.99 per year, a price point the entertainment giant hopes can undercut Netflix (NASDAQ:NFLX) in an increasingly crowded field. Disney (NYSE:DIS) has already confirmed a number of television series and films that will solely be available on the service, as well as all Disney films released in 2019. CEO Bob Iger further announced plans to step down from the company in 2021, although he's said that several times before. "There is actually more agreement in relation to a customs union than it is often given credit for when different language is used," Theresa May told MPs just hours before she met with opposition leader Jeremy Corbyn. That's her biggest hint yet that she’s less opposed to staying in a post-Brexit customs union with the EU than might appear. Corbyn meanwhile wants a customs union with add-ons that would give the U.K. some kind of say in trade policy. Who's winning the trade war? China's total trade with the U.S slumped by 11% in the first three months of this year, according to the latest customs department data. That's mainly due to a 28% slump in U.S. imports to China for the first quarter, in yuan-denominated terms. Exports to the U.S. fell 3.7% over the same three months. In March alone, U.S. imports into China fell 21%, while Chinese exporters shipped 10.6% more back to American consumers. The IMF and the World Bank will kick off their spring meetings today, with finance ministers and central bankers from around the globe gathered in Washington. A Group of 20 meeting will take place on the sidelines. In its World Economic Outlook this week, the IMF again downgraded its 2019 global economic forecast (to 3.3% growth), warning of a slowing world economy and urging leaders to be careful in what it called a "delicate moment." Futures at 6:20, Dow +0.7%. S&P +0.5%. Nasdaq +0.5%. Crude +1.5% to $64.53. Gold +0.3% to $1297.10. Bitcoin -0.2% to $5069. The timing of a U.S.-China trade agreement remains unclear, but the two countries have "pretty much agreed on an enforcement mechanism," U.S. Treasury Secretary Steve Mnuchin declared. While down earlier in the overnight session, Dow futures are now up 32 points as Wall Street sees some trade optimism following yesterday's release of Fed minutes, which reaffirmed the central bank's patience regarding future rate hikes. "If we can complete this agreement, this will be the most significant changes to the economic relationship between the U.S. and China in really the last 40 years," Mnuchin added, saying he has another call scheduled this morning with Chinese Vice Premier Liu He. Brexit extended to Halloween... Time's up for May? Theresa May managed to convince EU leaders yesterday to grant the U.K. more time before it leaves the bloc, extending the deadline to Oct. 31, but some experts are now saying her days in office are numbered. "A six-month period is clearly enough for the Conservative Party to contemplate a change in leadership while still allowing some time for the incoming PM to seek to negotiate with the EU," JPMorgan economist Malcolm Barr said in a research note. "One could even cram a general election into that time frame too if PM May were to resign by roughly the end of May." It's not a surprise, but Bloomberg is reporting that Amazon (NASDAQ:AMZN) has thousands of workers around the world who listen to and review private Alexa conversations with the goal of helping improve the speech assistant’s technology. The recordings are transcribed, annotated and then fed back into the software as part of an effort to eliminate gaps in Alexa’s understanding of human speech and help it better respond to commands. Amazon has never publicly disclosed the role of the group or that human interference is part of Alexa’s voice technology. "As far as 2019 is concerned, amongst the analyst community there is an extraordinarily wide divergence of view as to how strong growth will be," the IEA said in its closely-watched monthly report. "We maintain our forecast of 1.4M barrels per day, but accept that there are mixed signals about the health of the global economy, and differing views about the likely level of oil prices." Factors include surging U.S. crude stockpiles vs. OPEC-led supply cuts, Venezuela and Iran sanctions, and escalating fighting in Libya. China's factory-gate inflation picked up for the first time in nine months in March, rising 0.4% from a year ago, amid signs that government efforts to boost the economy may be putting a floor under domestic demand. Consumer inflation also quickened, with the CPI climbing 2.3% from a year ago, adding to optimism that the world’s second-largest economy is starting to turn the corner. Analysts caution, however, that it will take a few more months of better data and further policy support from Beijing to see if a recovery can be sustained. Millions of Indian voters are heading to the polls in the first phase of the world's largest general election that's seen as a referendum on Prime Minister Narendra Modi. The seven-phase elections will conclude on May 19, with the party or coalition with a simple majority (273 seats) invited to form a government. What's at stake? The country faces high unemployment, sharpening sectarian and caste divisions, distress for rural farmers and a recent flare-up with Pakistan. Walmart (NYSE:WMT) is planning to refit another 500 of its U.S. stores this year, investing hundreds of millions of dollars to keep bricks and mortar retail relevant. "Brighter lighting, wider aisles and self checkouts are to be rolled out under the plan, as well as upgrades to electronics and pharmacy departments, FT reports. Walmart's once-rapid store opening rate has slowed to a crawl, with only five new stores planned this year. " Tesla (NASDAQ:TSLA) and Panasonic (OTCPK:PCRFY) are suspending plans to expand the capacity of their $4.5B U.S. plant in the face of uncertain demand for electric vehicles, the Nikkei reports. The two had intended to raise capacity 50% by 2020 to the equivalent of 54 gigawatt-hours, but financial problems forced a re-think. Panasonic also intends to suspend planned investment in Tesla's battery and EV plant in Shanghai, and instead provide technical support and a small number of batteries from the existing Gigafactory. TSLA -4% premarket. The rivalry between ride-sharing apps has breached a new level of intensity as Uber (UBER) prepares to publish paperwork for an initial public offering that could value it at $100B. Newly-listed Lyft's (NASDAQ:LYFT) shares plunged nearly 11% yesterday, closing at $60.12, more than 16% lower than its IPO price of $72 on March 28. Uber is expected to make public its IPO prospectus today, giving investors the opportunity to closely judge the two companies side by side.